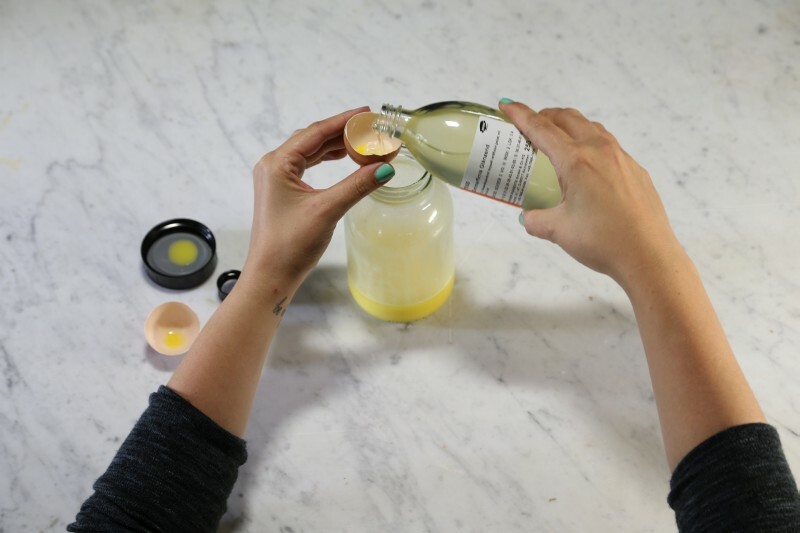 Crack a fresh egg and fill it into a glass with a screw cap. 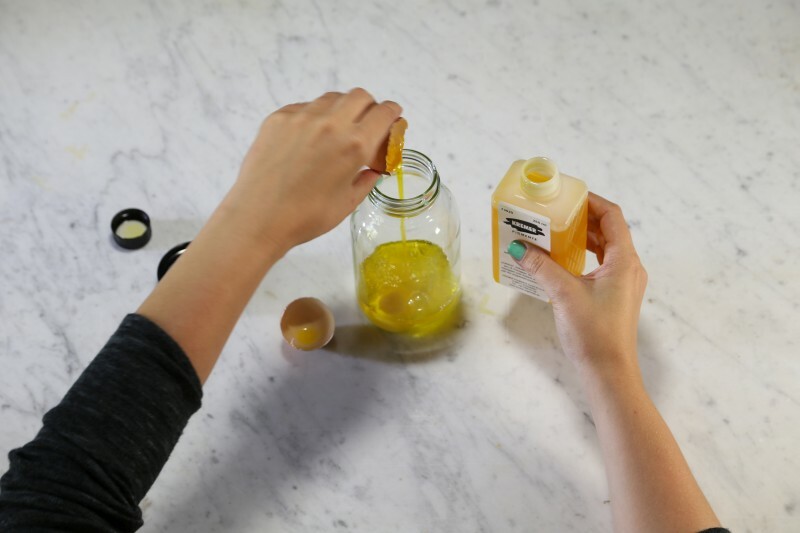 Fill the empty shells of the egg with linseed oil varnish and add it to the egg (the same volume as the egg) . 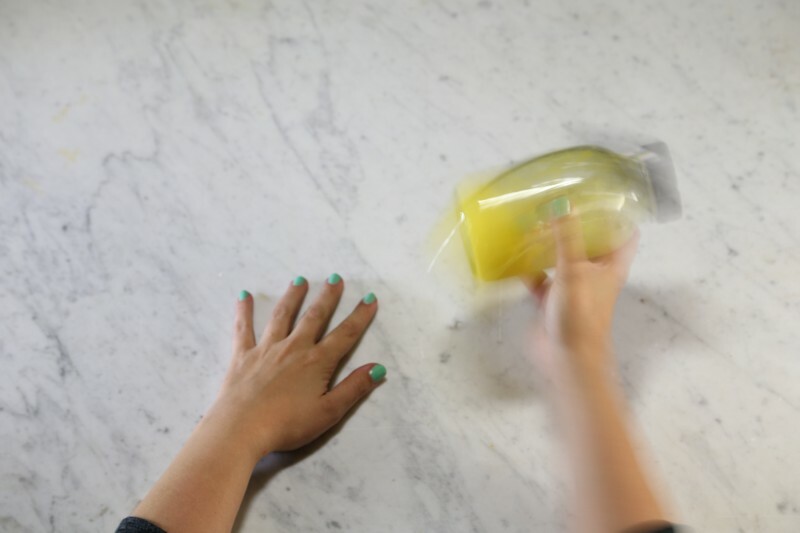 Now shake everything well until the fluid becomes a smoothy emulsion . Then fill the egg shells with dammar varnish and add it to the egg and the linseed oil varnish . 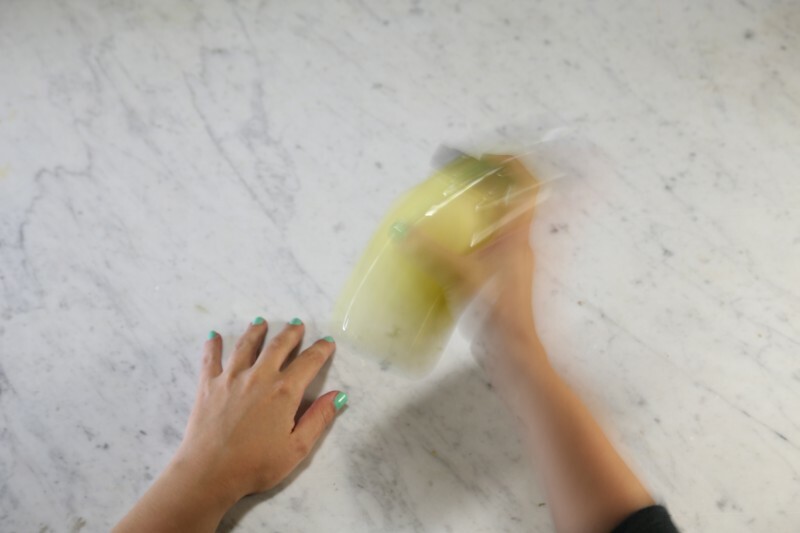 Shake everything well again until the fluid becomes a smoothy emulsion . 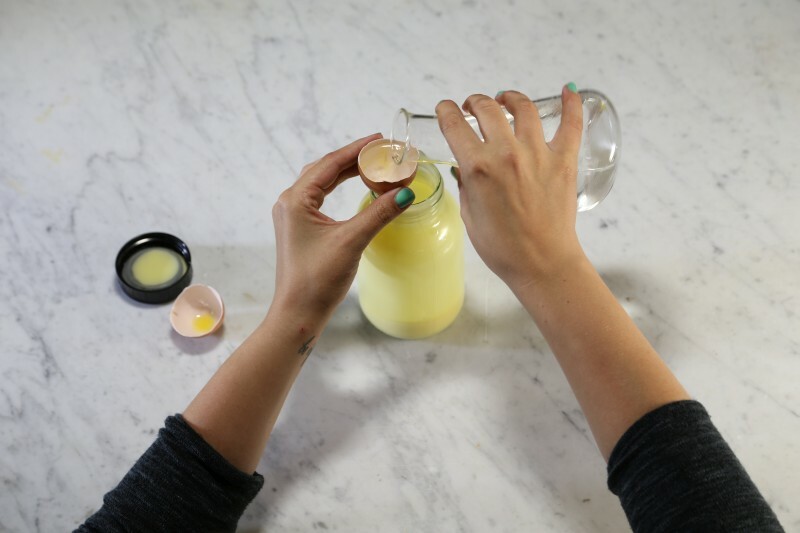 Fill the egg shells with water, add it to the emulsion and shake well again . 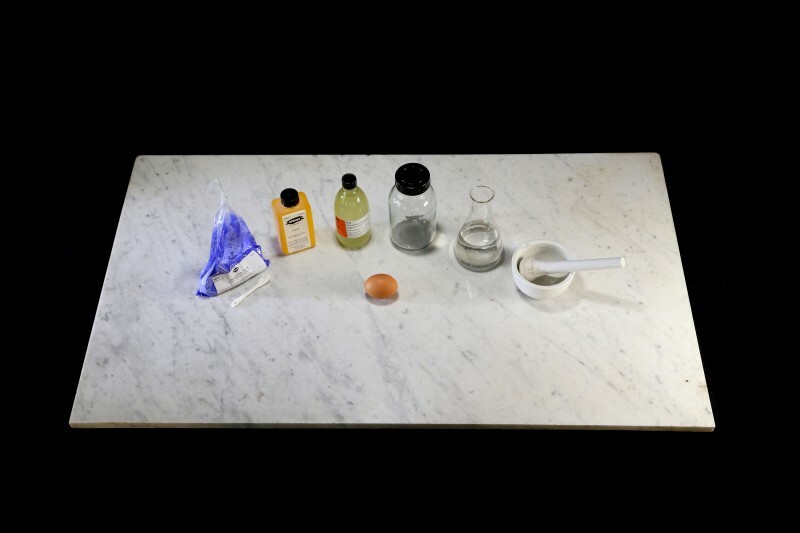 In this egg tempera (binder) stir in the pigment of your choice in a mortar or on a plate and grind until the fluid gets the viscosity of a yogurt . Now the paint is ready to use . 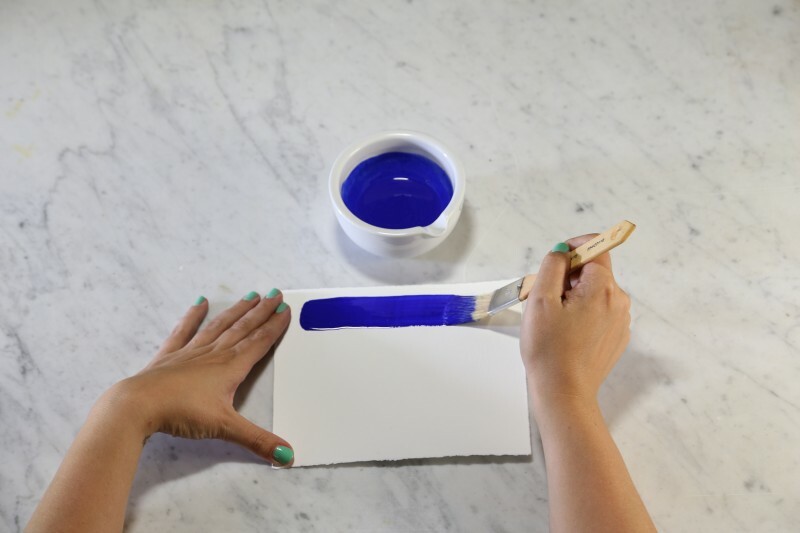 If necessary, the tempera can be diluted with some water .